– exert from the press release. The really intriguing fact about this is the part that we have placed in bold above. A steel penny? Sound familiar in the U.S.? The United States is currently entertaining the idea of changing the metal composition of the penny (and the nickel) to steel. However, Canada has already done this and still takes a loss on the penny. 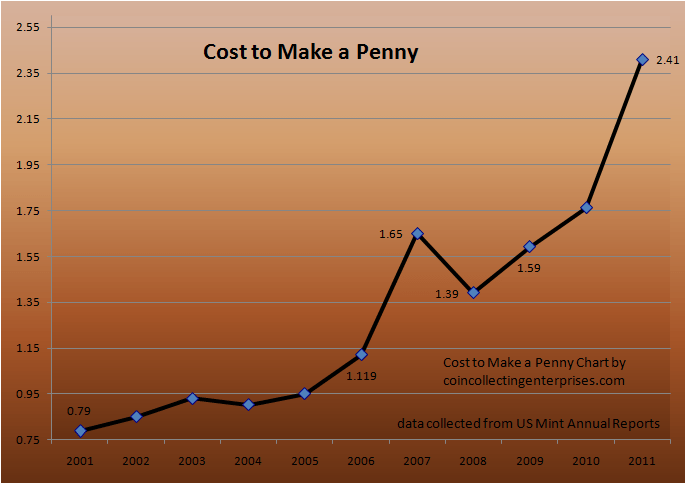 This doesn’t just suggest the end of the U.S. penny must be coming closer, it proves it. After all, That quote could easily be replaced with the economic conditions in the United States. Canada’s Mint, called the Royal Canadian Mint, has an “Alloy Recover Program” that is designed to sort out high value coins in the same denomination and recover them for commodities use. For example, sorting Canadian copper pennies out of zinc and steel pennies. Keep your copper pennies! After all, they’re already proven to be worth more than face value. These acts are largely shown in the cost to make a penny. 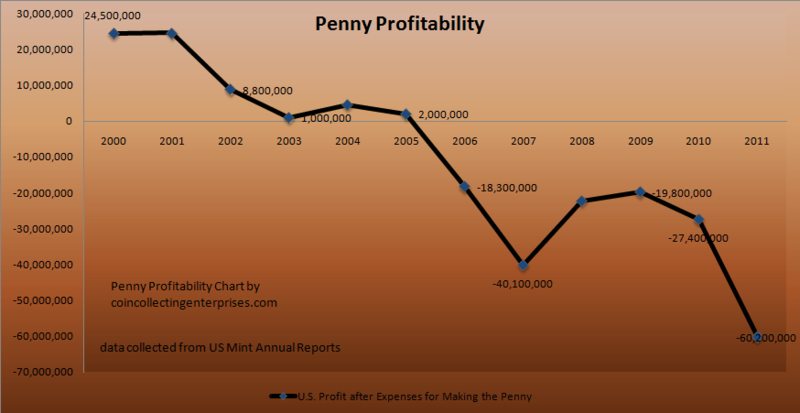 Is the U.S. penny on the chopping block to be eliminated next? Only time will tell when. But that’s the real factor here. No longer is the question if, but when. History repeats. Time and time again countries have and are eliminating the denomination equivalent of the penny. This is big news for copper penny investors. The penny being eliminated from Canada is very close to home in the United States. So close that it will have to raise enough attention from the general public that politicians may look even closer at eliminating the penny. Do you invest in copper pennies? If so, great! Keep it up because your big pay day may be coming soon. If not, why? Did you know every U.S. copper penny is worth over 2.5x its face value because of its copper metal value? This is how much inflation and metal appreciation has effected our economy. Research the great benefits of copper pennies before it is too late. Learn about How to Make Money off of Copper Pennies or start by reading our Copper Penny FAQ.